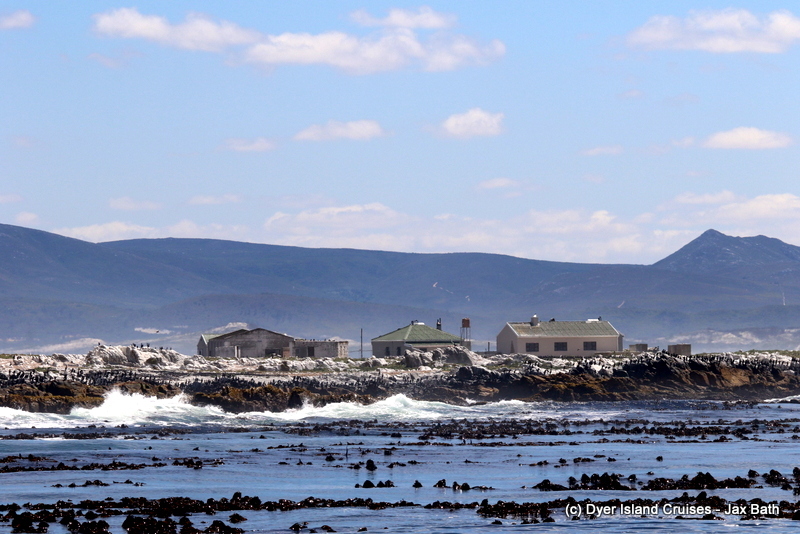 We had gorgeous conditions this morning when we set out just after 10:00 from Kleinbaai harbour. 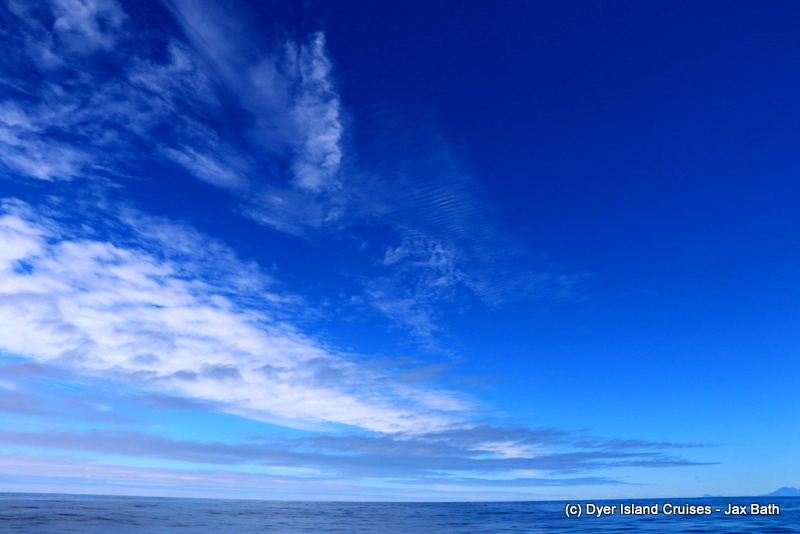 Although we had a bit of swell running in, we had absolutely no wind, which made for a glossy sea. the swell also gave away the presence of some reefs running below the surface of the ocean, giving just a bit of insight into what goes on beneath. We took our usual line towards the estuary at Uilenkraalsmond, stopping to read the water temperature and oxygen levels before having a look out for a cetacean or two. 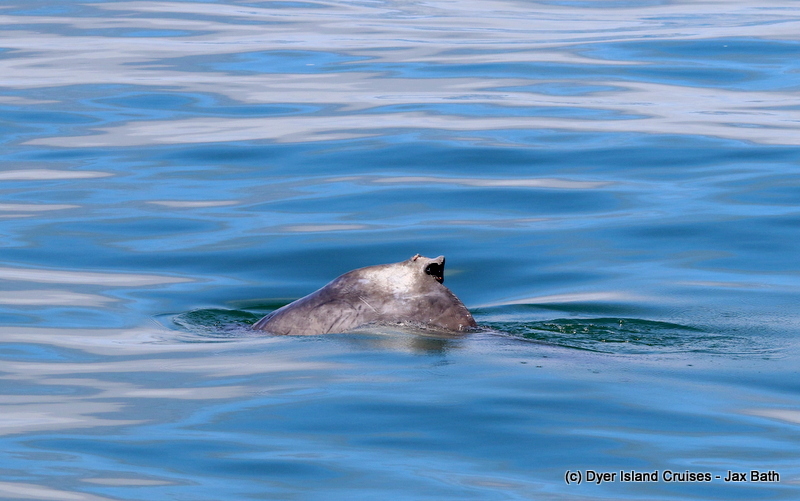 We were in luck when we spotted a lone Indian Ocean Humpback Dolphin travelling through the bay, we’ve decided to affectionately call this lone wolf; Calypso, and we’ve been having a lovely time watching this charismatic animal. Today, his moments were quite sporadic, perhaps he might have been fishing. Despite this, we spent some quality time here before cruising by the shallows where shark activity appeared to be just a bit slower today. 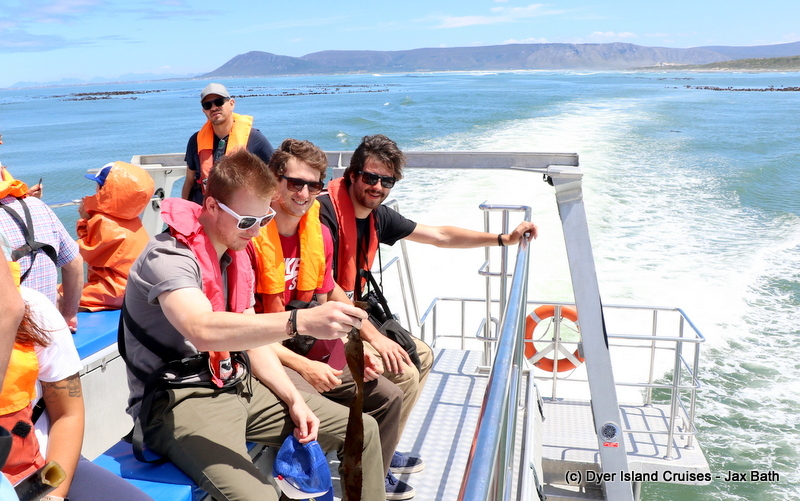 We then head onwards towards our reef systems, stopping to pick up some kelp before heading off on towards Dyer Island where the Cape Cormorants all seemed to be home for a rest. 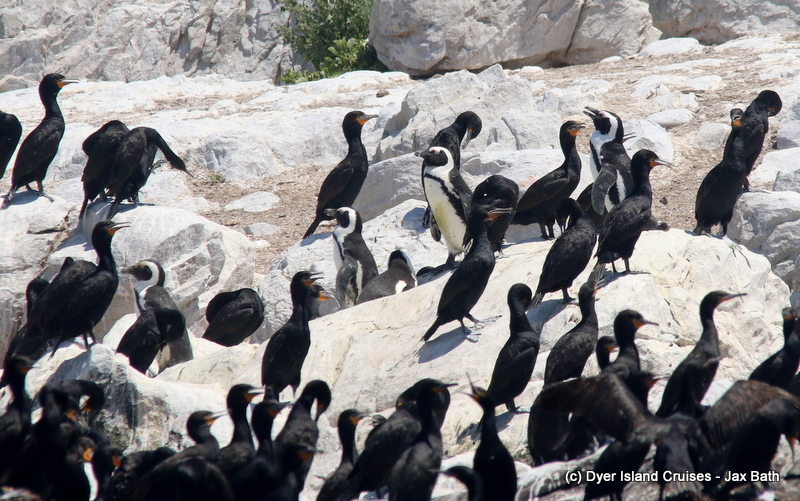 With all the cormorants about, we had to do some searching for our African penguins but eventually got a view or two as they sat in their favourite little valley. 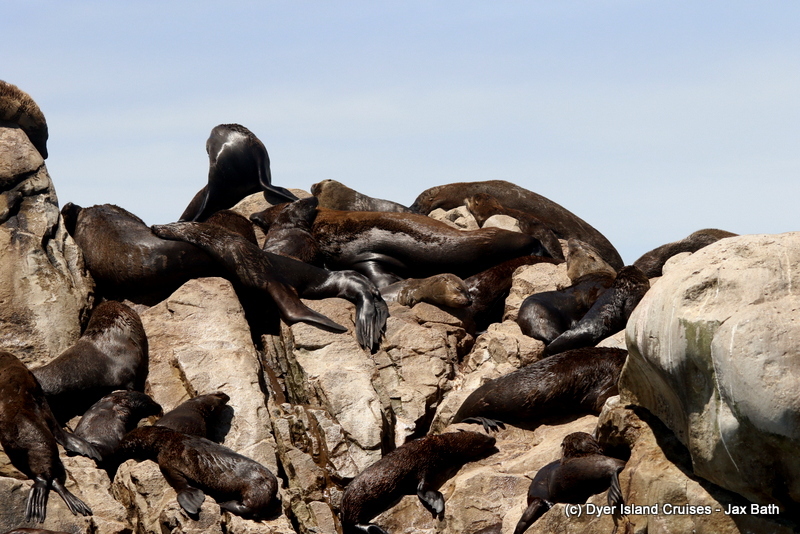 After our stop at Dyer Island, we then made our way into the world famous waters to see one of our areas greatest natural wonders, our booming Cape Fur Seal colony. 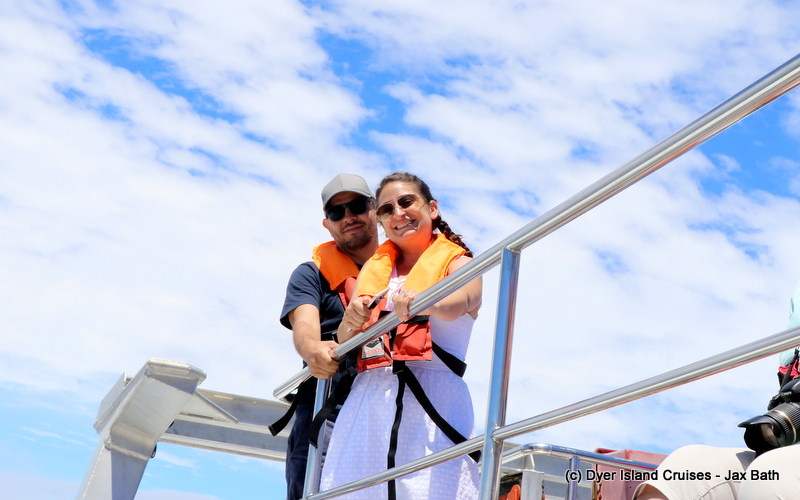 We cruised up and down shark alley to take it all in, also going in for a closer look at Hospital Rock before doing a bit of searching out in the open ocean. although stunning, the sea did look a little quiet, so we slowly made our way back into the harbour after doing a little searching. We had Brilliant views out on the ocean today. 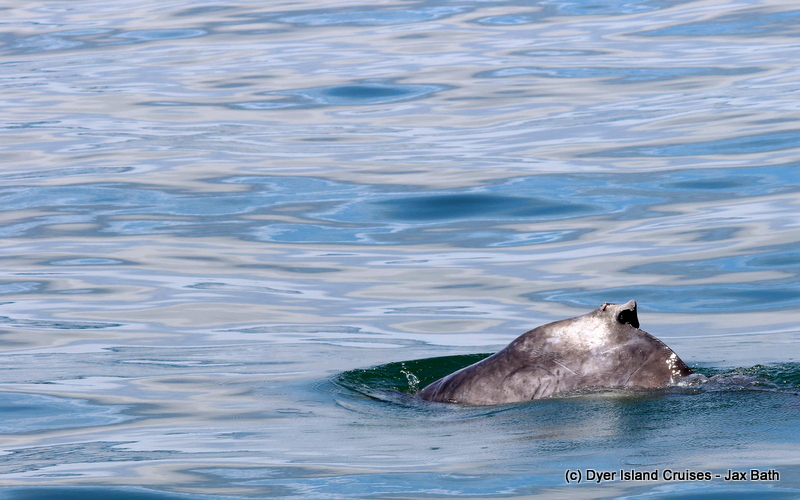 It’s normal for us to find these dolphins travelling alone. 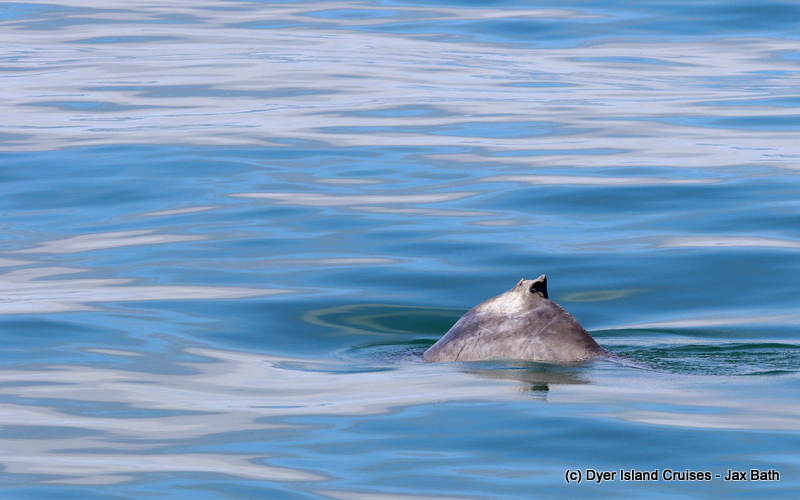 We identify the Indian Ocean Humpback Dolphins by taking high quality images of their dorsal fins. 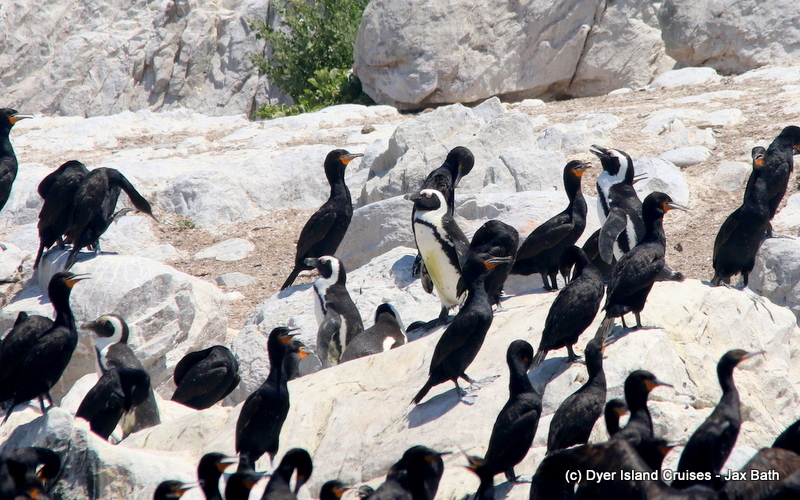 African Penguins camouflaging in Sponge Bay. 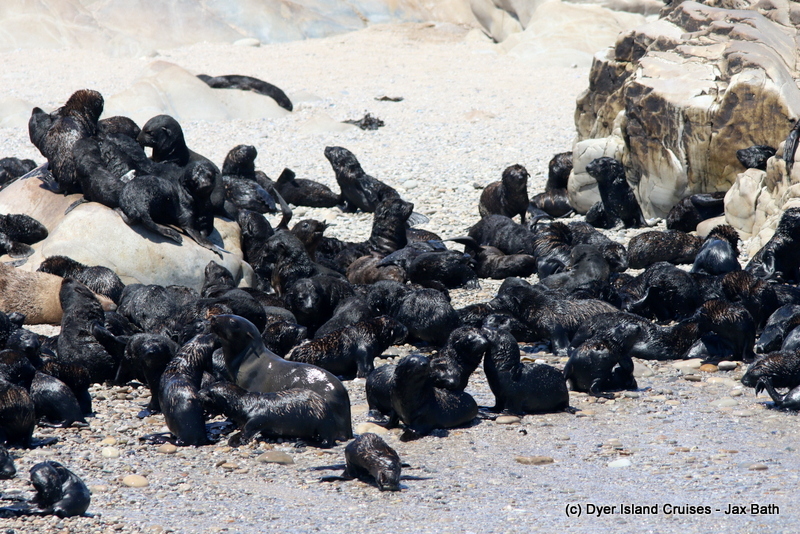 From a population of 23,000 breeding pairs in the 1970’s, only 1004 remain. 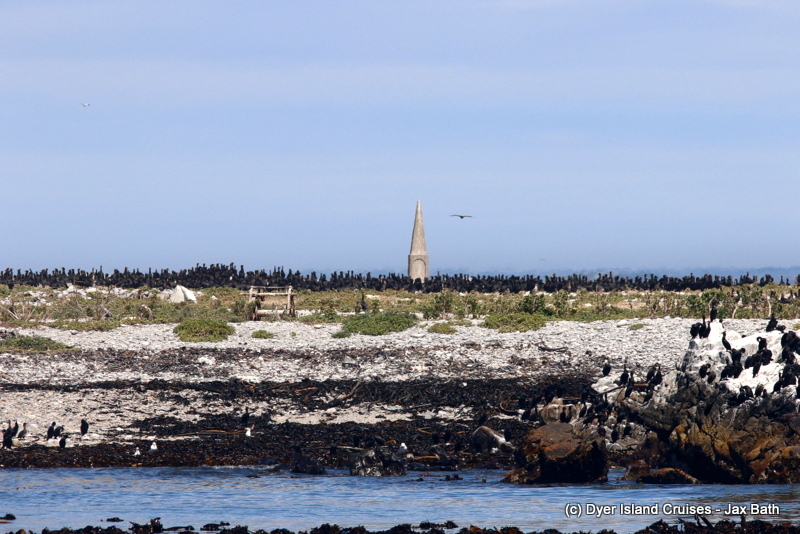 The gravestone of Captain Powers in between the Cape Cormorants. 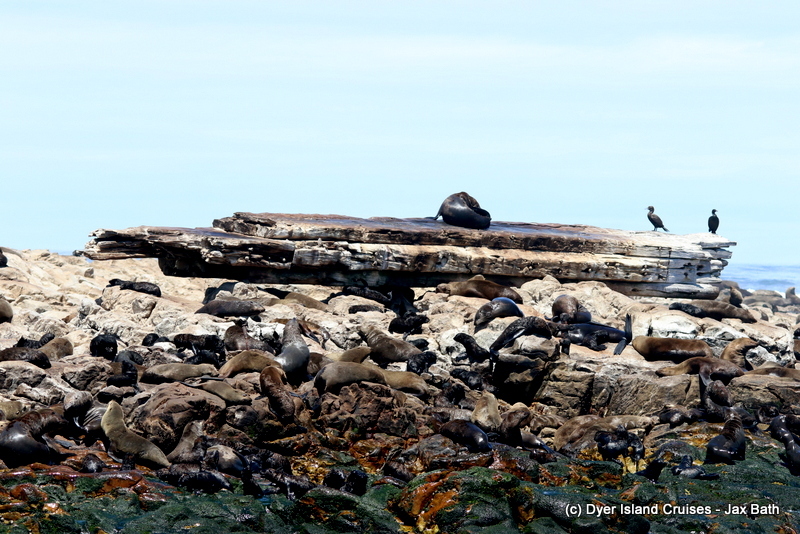 The houses of Dyer Island. 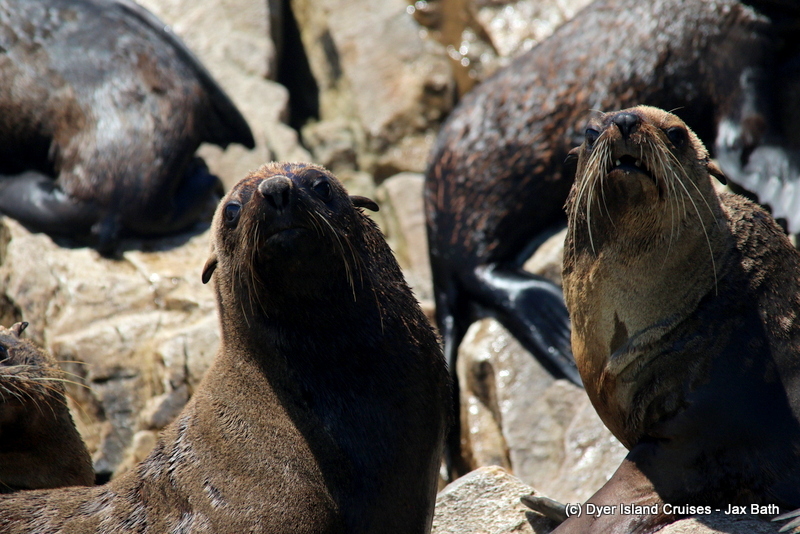 Cape Fur Seals giving us a look. Some pups waiting for their moms. The Prince Port, which wrecked in the late 1800’s after attempting to travel from New York to India. 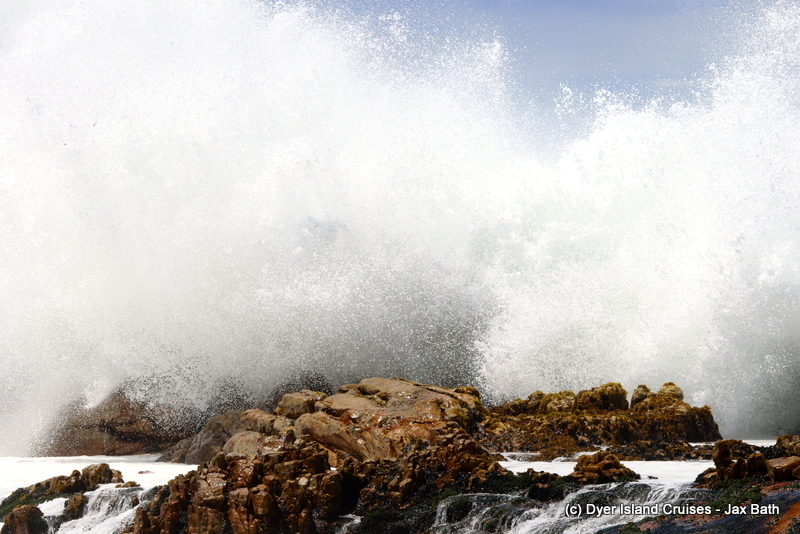 Some Spray coming over hospital rock.